Have you made Chocolate Chip Meringue Drops? 1. Preheat oven to 250 degrees. Line 2 baking sheets with aluminum foil. 2. In a large bowl, beat the egg whites at a moderately high speed until they form stiff peaks. 3. Beat in the sugar, 1 tablespoon at a time, then beat in vanilla. 4. Reduce the speed to low and beat in the cocoa. 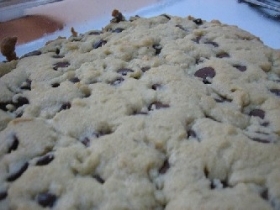 Fold in the chocolate chips with a rubber spatula. 5. 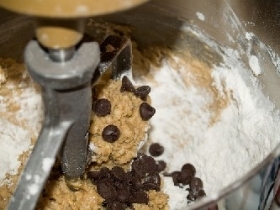 Drop the mixture by rounded teaspoons onto the baking sheets, leaving 1 inch between cookies. 7. 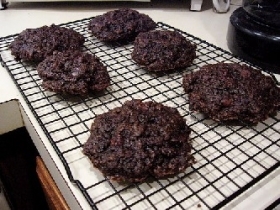 Turn off the oven and dry the cookies in the oven 2 hours longer. Remove them and store in an airtight container. 8. Makes 3 dozen cookies. 9. Variations: 1. 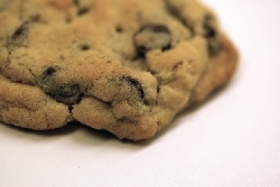 Omit the cocoa and make cookie as directed. 2. Substitute 1/2 chopped pecans for the chocolate chips. 3. Substitute 1/2 cup chopped pecans for chips and add pinch cinnamon. 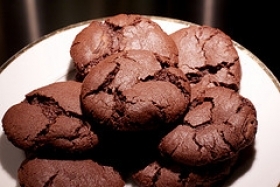 I had no problems with this recipe, turned out great! 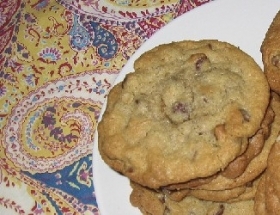 I substituted the vanilla with amaretto and added some chopped almonds. Make sure you beat the eggs until they form the peaks or it will not turn out. I tried this and mine ended out watery and flat. Idk if i did something wrong, but it was very watery and baked flat.